Hook like there's no tomorrow. 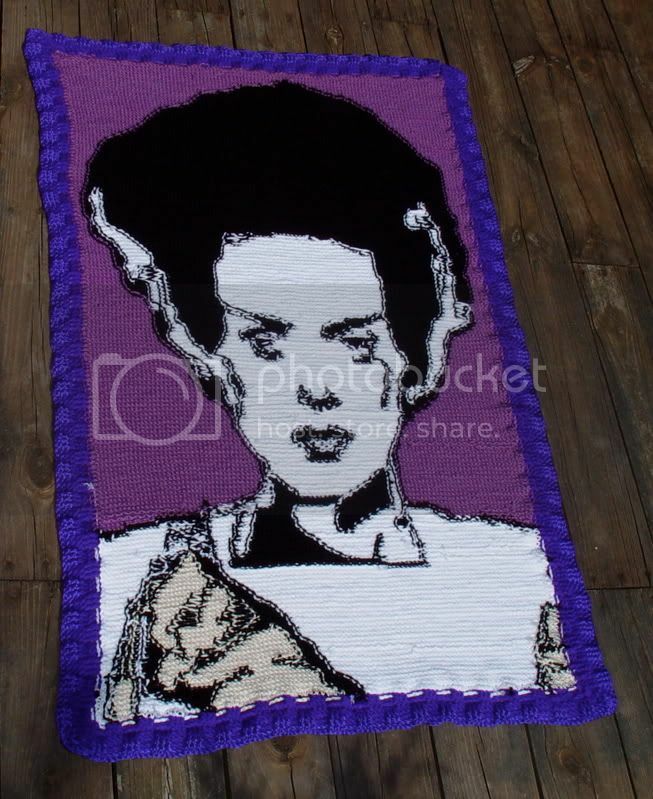 Just in time for Halloween, I've finished the Bride of Frankenstein afghan. (Please click on pics to embigger).<---(Too many Simpson shows). LOL! This is Elsa Lancaster as Frankenstein's Bride. 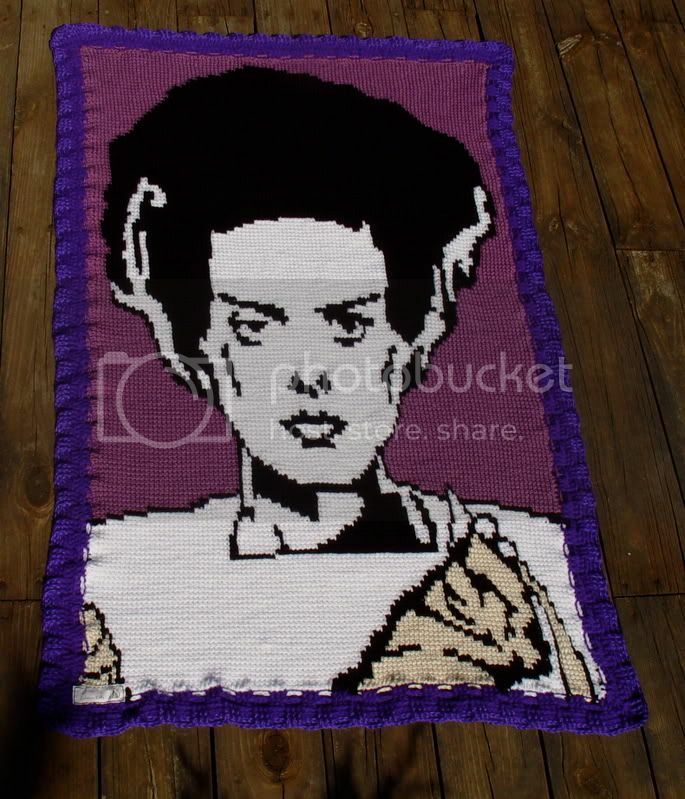 It is tunisian crocheted with a size J cabled hook. 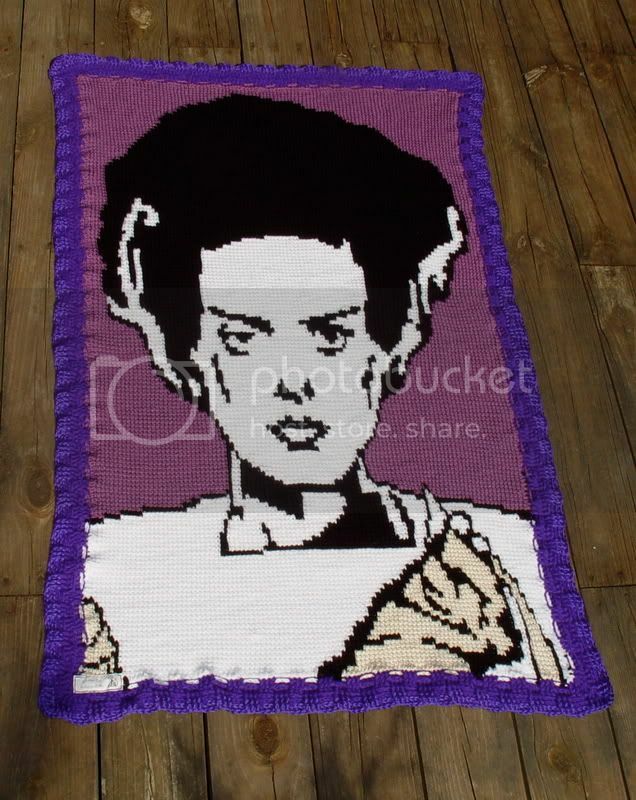 I made her as a companion afghan to my Frankenstein afghan from last year. Here's the happy couple together. Aren't they a pair to die for? LOL! Oh, and here's the yuchy back. There's always someone who wants to see the back. I love both of those afghans. Did you make the graph yourself? Thats awesome! I'm with HippiePunk, I wanna learn tunisian now too. omfg!!! i freggin love it to pieces! you are freakin amazing! 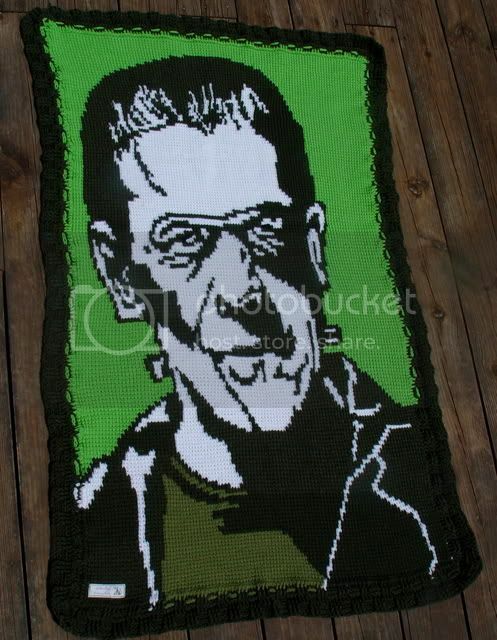 I adored your first one....this is just plain awesome!!! Dawn and Shaun of the Dead pumpkins.